Reliable, custom-made solutions with highest failure safety. Check out our brochure and read the following additional information. Software development for programmable logic controllers (PLC) and computer-controlled switchgears. I our automation department the programs for our controls are developed and programmed in close cooperation with our customers and project managers. 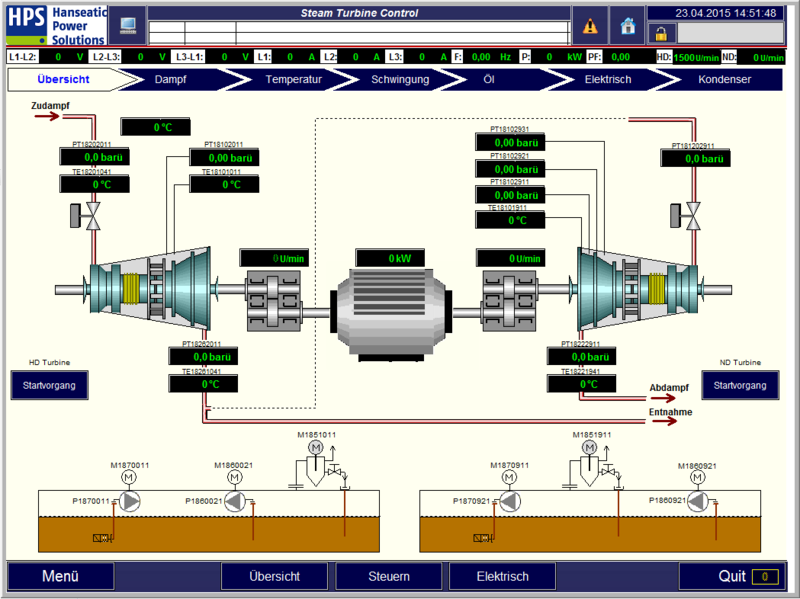 We rely on the approved automation technology of the Siemens Simatic S7 series. Depending on the specific application the automation system used is optimally adapted to required tasks: We focus on the clearness and simplicity, so that the users on site, who will have to operate the system later on, can deal with it and don't have data overload on the screen, which they don't need and wouldn't use. 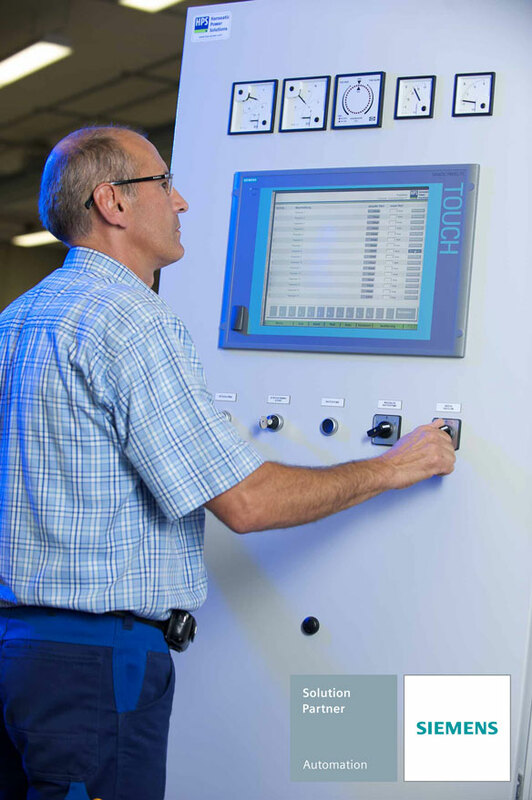 Our automation technology presents itself on the operating panel. What the customer wants: simple operation of even most complex systems. We use the Simatic S7 range as a standard. Also we rely on the proven Siemens technology with WinCC and WinCC Flexible when it comes to visualisation. This results in a consistent automation solution, that helps to minimize development- and shutdown times during project planning, commissioning and in case of failure. In order to enable the integration into superordinated process control systems, various communication options by communication processors are available. Especially the modern communication with industrial ethernet via TCP/IP protocol is focussed today. Naturally we are regularly tracking new developments in this section. Our Siemens Solution partnership ensures us an information advantage in this.